Welcome, my name is Cynthia Barnesky, a Registered Massage Therapist with a Twist, Reiki and Reflexology Practitioner, Intuitive Reader/Healer for Pet and People. I am also a Daughter, Sister, Friend, Wife, Mother and a person just like you; looking for ways to help heal myself naturally. My passion is to help others learn about tools to help one’s self-heal inside and out, and it is an ongoing one. Each time I find one that works for me, I just get so excited because I feel that it will help someone else too. What is my vision for you and myself? I truly believe in my heart that everyone has a right to learn, purchase, and share natural ways to heal one’s self naturally and I will try my best to help you with all of this wonderful natural tools. I have been dealing with body pain for over 19 years now, targeting the head, neck, shoulders, arms and back. It all started with the birth of my first child having to have a C-section and two months later having another surgery for removing my Gallbladder. After slowly recovering from the two surgeries, 3 months later, I found out I was pregnant again. Shortly thereafter, I was in a car accident and miscarried a month later. Slowly by slowly, my body parts started shutting down creating more and more pain. Dispirited to get rid of the pain, I thought that there was only one way out of this pain and it was to ”end it”. If it is wasn’t for my greatest gift, my daughter (Annette), she only being 7 months old. She helped me realizing I needed help, and I went to see my doctor. After all of these tragedies, I was diagnosed with postpartum depression. The first thing they gave me was anti-depression pills and second was to go to physiotherapy. I learned a lot about relaxing my body though physio, but I did not like what the anti-depressant pills made me feel like (not myself). I could not feel what it felt like to be happy, sad, angry, confused and so on…, so I stopped taking the anti-depressant pills after three months. I started looking for alternative ways to help my body heal without the chemicals. Through many years of trial and error for me while knowing in the back of my mind that we do not have enough money to do all things I was guided to, I tried several methods and natural practitioners. With going only once or twice, I found some beneficial and natural ways of helping my body heal. Some days where good while others where still a challenge, I just kept on trying and praying. Many years later, I found out that I had developed fibromyalgia. That was why I had many challenges with my body. This journey lead me to become a Registered Massage Therapist, an Energy Healer/Reader just to help myself heal safer and faster. I found one thing that I used what I learned almost every day to help promote and maintain my natural healing process, that is through Trigger Point Self-Massage and Self-massage, Reiki/Energy work and now I started to use Reflexology too. For me these tools have helped me reduce, release, and help maintain the pain from fibromyalgia. I know that Trigger Point Self-Massage and the other methods works for me so I want to share it with YOU! There will be many more natural healing methods I would like to share with you in the near future, keep your eyes open for some more new ways to help your body heal natural. Why I am offering you these tips, information, products and Ideas? Through my experiences in this area, my compassion just grew and grew to help anyone who is seeking natural healing. Remember the back is in the center of your whole body and everything is connected. So if you neck is sore, or hips, it just might be that it is really coming for you back. So, why not start with your back; what do you have to loose “PAIN”! Thank you for the first step in your natural healing! If you have any questions, concerns or you would like more information on Trigger Point Self-Massage please get in touch through my contact page. All the best in your Natural Healing Journey, because it does begin with YOU! 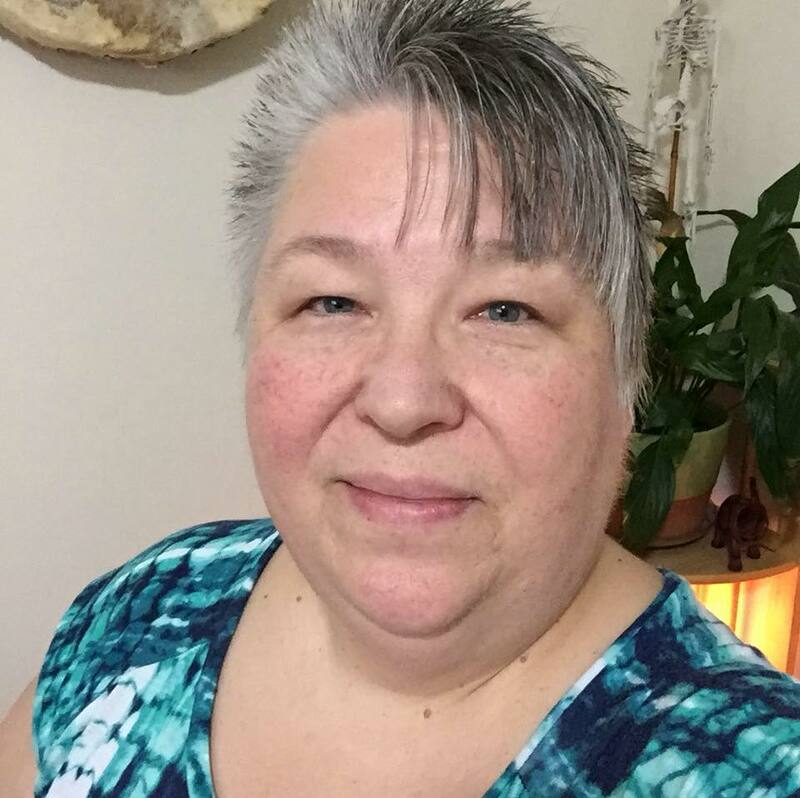 Cynthia Barnesky is now a Registered and Certified Intuitive Swedish Massage Therapist, Usui Reiki Practitioner Level 1&2, Certified Reflexology Practitioner, Certified IonCleanse Foot Bath Practitioner and Intuitive Healer/Reader for people and pets. She works out of her Strathmore home, giving you a unique experience at any of her services. She can help your body heal naturally with all the tools she has learned. She feels like you and her are a team to help support your healing process. She cares about the out come of the treatment and shows you how to maintain the session until your next visit. With her caring and loving hands, she sends you the healing light of love!